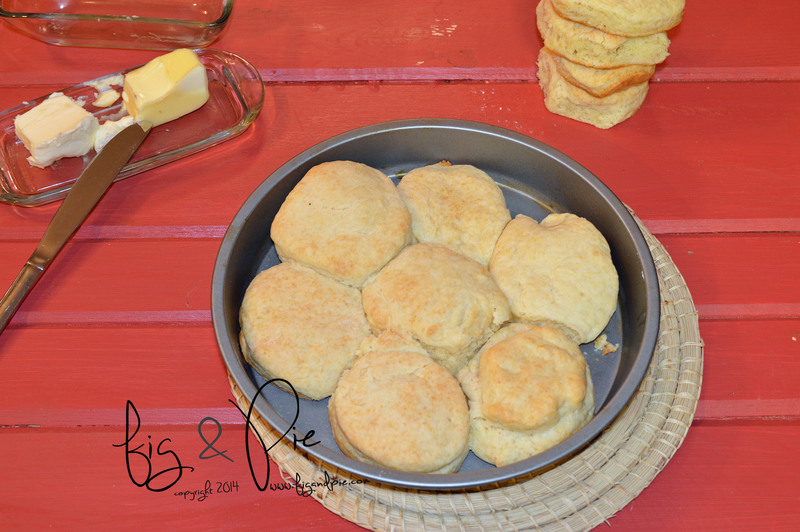 I love homemade buttermilk biscuits, but for some reason I haven’t made them in awhile – my husband said that this is the first time I’ve made them with him and we’ve been together for 8 years. 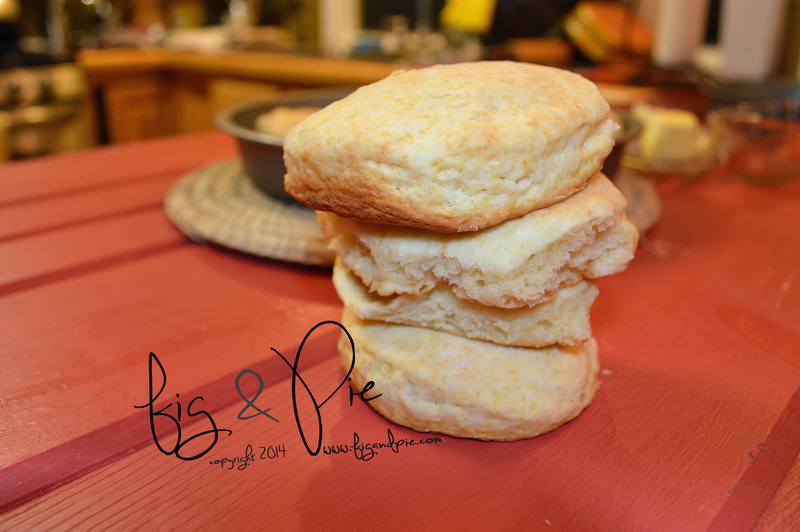 So…it was about time that I made buttermilk biscuits again!! We served this on the side of buttermilk fried/baked chicken. Amazing combination. 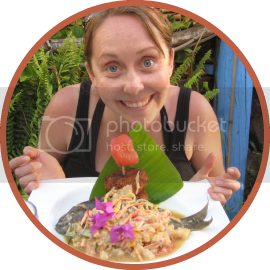 You can find the buttermilk chicken recipe here. 1) Heat your oven to 400 degrees and spray a round baking pan with oil. 2) Whisk together the flour, sugar, baking powder, salt and baking soda in large bowl. Using your fingertips (or a pastry blender, I need to get one!) mix the butter into dry ingredients until combined – try to not have any big clumps of butter and lots of dry flour. 3) Add the buttermilk and stir, then knead with your hands until all of the dough is moist. 4) Sprinkle a little bit of flour onto a clean & dry surface, turn the bowl over and dump the dough onto the floured surface. Roll the dough to about 3/4 inches thick. Cut out round biscuits using a cookie cutter or glass. 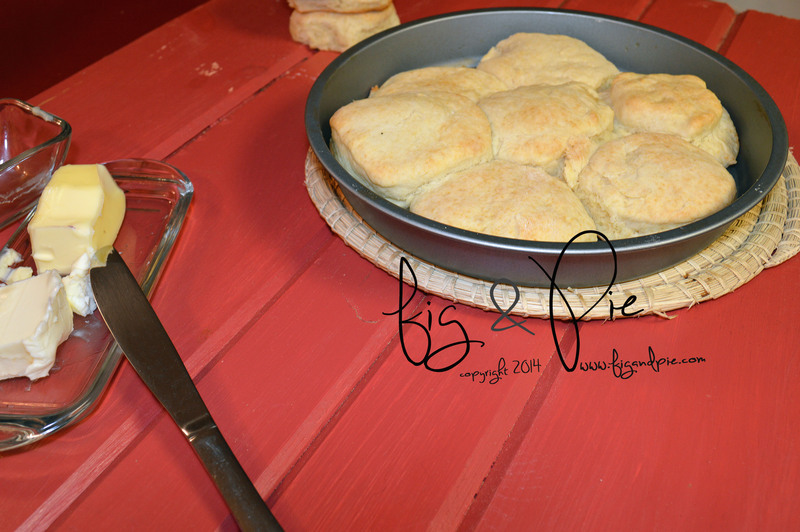 Place each biscuit into the sprayed round baking pan. 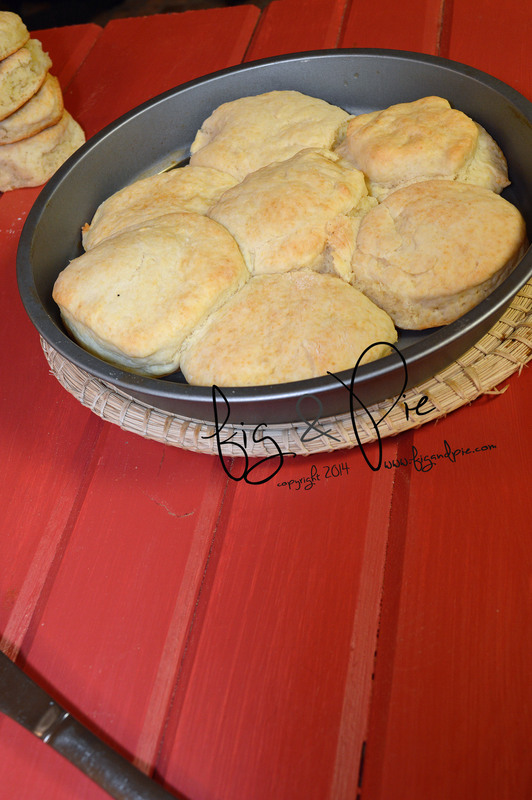 5) Bake about 12/15 minutes until the biscuits are golden brown on top. Serve warm with honey & butter!